Click here for a description of this chart. Click here to search rates by high school. Scroll down below the data for field descriptions. Students: Number of 9th-graders in 2012-13 who could potentially graduate in 2016. Grad Rate: Percentage of 9th-graders in 2012-13 who graduated in 2016. Dropout Rate: Percentage of 9th-graders in 2012-13 who dropped out during or before 2016. Special Ed Completion Rate: Percentage of special education 9th-graders in 2012-13 who completed high school without meeting the requirements for a diploma. 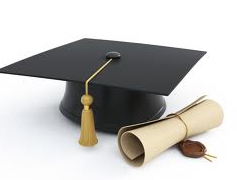 Special education students who graduated are included in the grad rate. Still Enrolled Rate: Percentage of 9th-graders in 2012-13 who are still enrolled after 2016. GED Rate: Percentage of 9th-graders in 2012-13 who passed the GED test by the end of the 2015-16 school year.